Prince William and Kate Middleton in Whitehorse. Photo by Jonathan Hayward/The Canadian Press. A hotel in Yukon's capital is talking itself up as the "world's most popular three star hotel" after hosting the Duke and Duchess of Cambridge and getting worldwide attention. 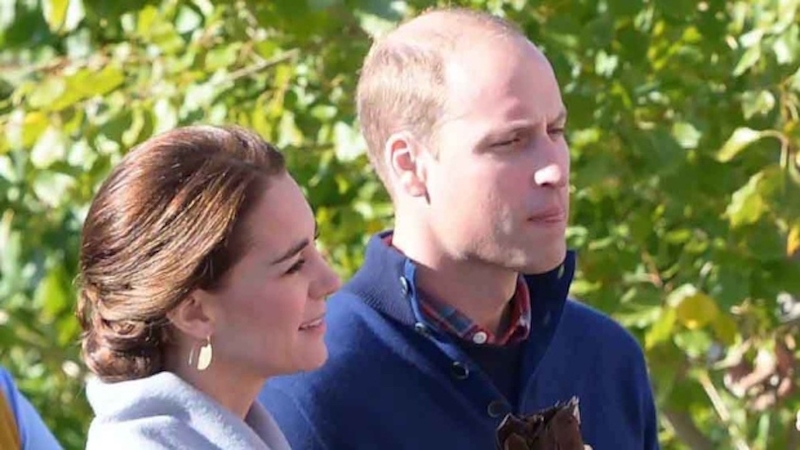 British media outlets devoted a fair amount of observation to the Coast High Country Inn, where Prince William and Kate spent the night last Tuesday. The Daily Mail categorized the Whitehorse accommodations as "rustic" and noted the hotel's three-star rating. Later the Express did a long piece describing a facelift given to the room the royals slept in. Coast High Country Inn in Whitehorse where the royals stayed the night and ordered pizza. Photo courtesy Coast High Country Inn. Philip Fitzgerald, president of hotels with Northern Vision Development, didn't seem unhappy with all the fuss. "It's great to get the international marketing exposure as the world's most-popular three-star hotel," Fitzgerald said with a laugh. Hotel staff and management were pleased with how the visit went, he said. "It was a once in a career experience for our staff." The hotel was completely booked for the tour, he added, with all 84 rooms occupied by the royal couple's considerable entourage, security and Canadian government officials. Room 414, where the royals stayed, got a mini-renovation before the VIP guests arrived. Fitzgerald said the company replaced the carpet, gave the walls a fresh coat of paint and purchased a new love seat for the space. "We knew we had some VIP guests and we had an opportunity to upgrade the room and do it in a timely manner," he said. The hotel also borrowed a number of art pieces from Yukon's permanent collection to decorate the room. They included a wooden mask and a painting called "Split Raven," done in the traditional Tlingit style. But reports by international media that major renovations were done to accommodate the couple are "overblown," Fitzgerald said. "All we did was we put some paint on and we changed the carpets," he said. "We didn't knock walls down ... It's the same thing we would have done for other guests as well." Keeping details about the royal visit a secret for six weeks was a challenge for staff, particularly in a community where good news travels fast, Fitzgerald said. "We weren't allowed to tell anyone," he said. "It's actually significantly more challenging to do in a small town such as Whitehorse." What effect the visit has had on the hotel remains to be seen. Fitzgerald said he expects to see more requests to stay in room 414 down the road. However, for now, hotel staff and management are simply relieved the royal couple seemed satisfied with their overnight digs. "At the end of the day, the duke and duchess were apparently delighted with their stay and that's the ultimate compliment we could take," Fitzgerald said.